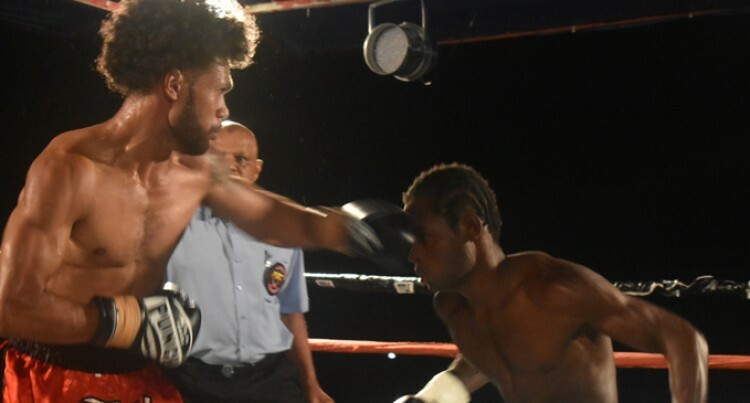 Promising Rakuro Daunivanana found his match in Vanuatu’s Roy Ser when he was knocked out in the third round at Prince Charles Park, Nadi on Saturday night. The Cakaudrove native made a big mis­take in trying to take the fight to the hard hitting Ser who decked him in the early rounds. A minute into the third round Dauniva­vana hit the canvas after Ser cornered him with solid body punches. Speaking to SUNsports, he has called on Ser to give him a return fight. “It was a good fight but I did not expect that to happen,” Daunivavana said. Ser said he had kept his word to knockout Daunivavana. “Before the fight Rakuro said that he was going to knock me out. I did the same thing too but I kept my word. Tomu Gaunavou beat Nereo Cakautini on points, Malakai Marama beat Sunia Dari on points, Masing Warawara beat William Mel on points, Apisai Lutumailagi beat Adriel Thein on points.